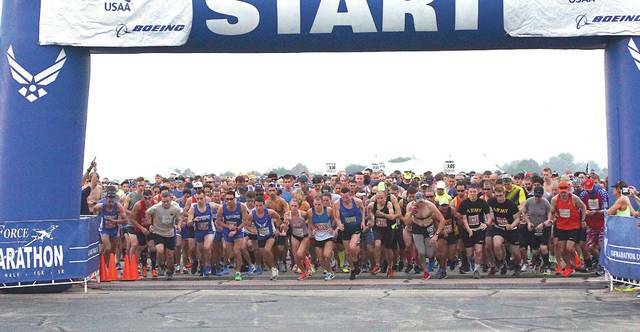 Barb Slone | Greene County News Approximately 12,000 individuals participated Sept. 15 in the Air Force Marathon. Wheeled participants took off first, followed by runners. Runners had to be at the starting line near 7 a.m. 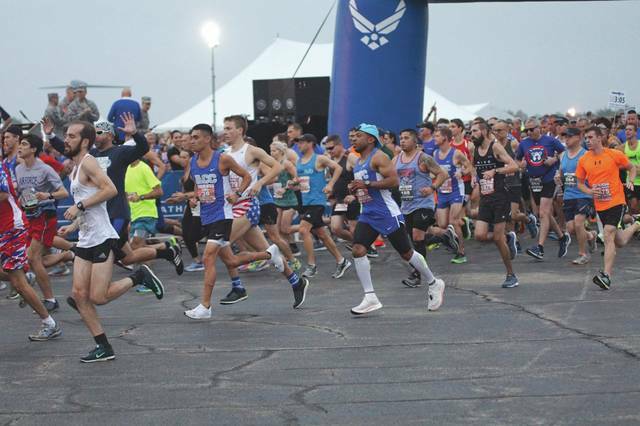 Approximately 12,000 individuals participated Sept. 15 in the Air Force Marathon. Wheeled participants took off first, followed by runners. https://www.beavercreeknewscurrent.com/wp-content/uploads/sites/49/2018/09/web1_afmara20181.jpgBarb Slone | Greene County News Approximately 12,000 individuals participated Sept. 15 in the Air Force Marathon. Wheeled participants took off first, followed by runners. 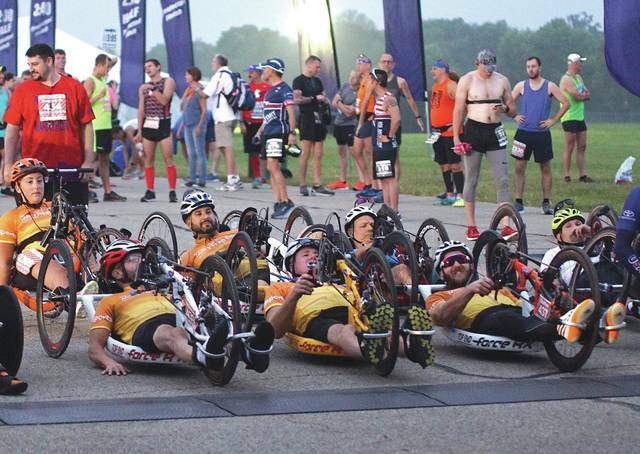 https://www.beavercreeknewscurrent.com/wp-content/uploads/sites/49/2018/09/web1_afmara20182.jpgBarb Slone | Greene County News Approximately 12,000 individuals participated Sept. 15 in the Air Force Marathon. Wheeled participants took off first, followed by runners. https://www.beavercreeknewscurrent.com/wp-content/uploads/sites/49/2018/09/web1_afmara20183.jpgRunners had to be at the starting line near 7 a.m.